Donavia and OrenAir, both subsidiaries of Aeroflot, have started operating under the united Rossiya Airlines code (FV), as follows from the online schedules of the airlines’ respective base airports. Donavia has confirmed to Russian Aviation Insider that it now uses Rossiya’s codes for its fights. The airline has also mentioned that a satellite office of the united Rossiya Airlines is currently being set up in Rostov. Part of Donavia’s staff will be transferred to this office, while the rest will be employed by Rossiya’s head office located in St. Petersburg. The airline will continue to operate flights from Rostov to Simferopol, Moscow, St. Petersburg and Tel Aviv, all within its summer schedule. Flights to Yerevan and Tashkent, however, will be cancelled. OrenAir and Rossiya as of yet have not commented. 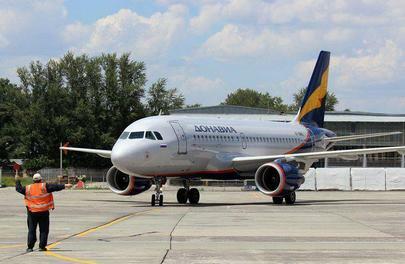 Transfer of Donavia and OrenAir’s flights to Rossiya’s code is going according to plan: Rossiya’s general director Dmitriy Saprykin announced at the end of last year that the process would be complete by April 2016. All three airlines will use a single Air Operator Certificate, which will include the fleets of Rossiya, OrenAir, Donavia and partly Transaero. St. Peteresburg’s Pulkovo remains the airline’s base airport. Transfer of aircraft has already been initiated as well. Rossiya expects to become Russia’s second largest carrier after the merger is complete. Its forecast for 2016 traffic is estimated at over 9 million passengers. S7 Airlines, which became de facto second-largest airline in Russia after Transaero’s exit in 2015 served 8.2 million passengers last year.